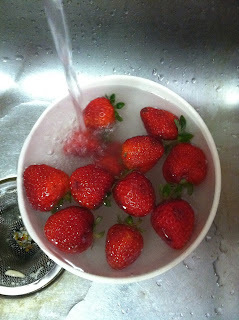 Summer is a great time for ripe, plump strawberries. 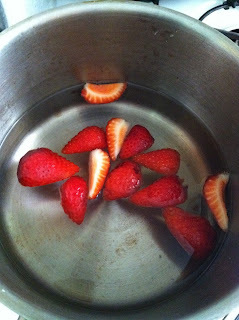 Here is a great way to use up strawberries that are too ripe or going off. Wash berries under cold water to remove dirt. Cut into halves lengthwise, and then into quarters. In a large pot, bring 5 cups of water and rock sugar to boil. 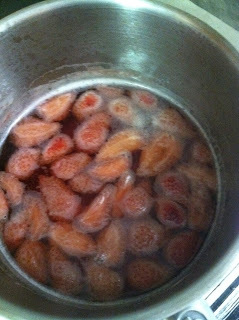 Once the water is boiled, drop in berries. Wait until the water boils again, and turn down to a simmer for half an hour. 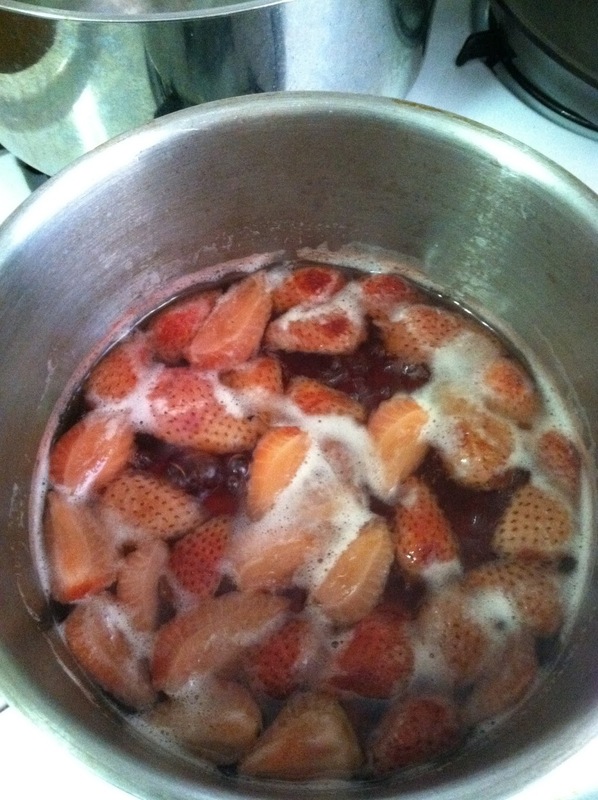 The berries will look pinkish and the water will turn red when it’s ready. 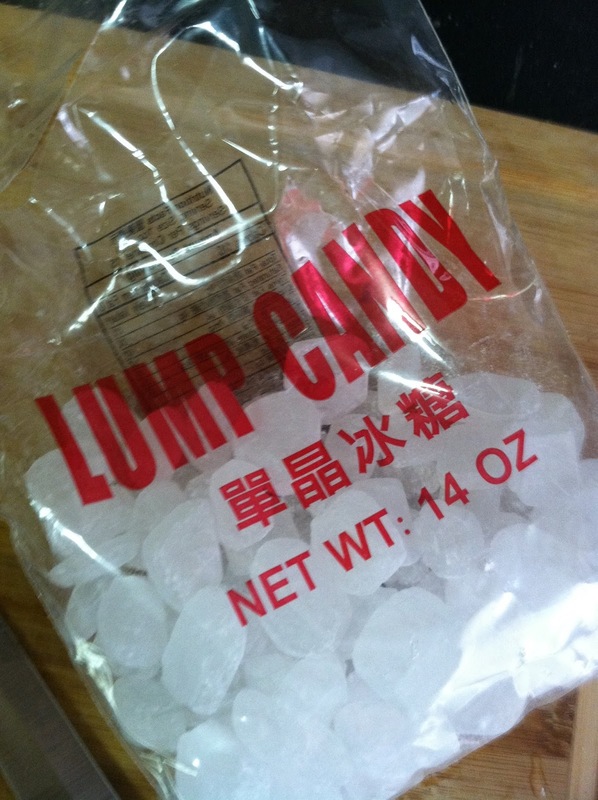 Once cooled to room temperature, cover pot with plastic wrap and transfer to fridge for at least 5 hours. For best results, leave in fridge overnight. Depending on the amount of sugar you put in, the drink could become very concentrated. 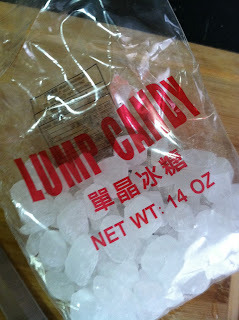 To serve, simply mix in some water or Seltzer water to spruce it up a bit. This is a great way to use any berries or ripe fruits, plus it can be stored in fridge for as long as you want! I made this drink for Hubby and he gulped it down pretty quickly. Make sure to tell your loved one that it is pretty sugary, so have it in moderation (wow this sounds almost like alcohol! ).